What will be your signature? 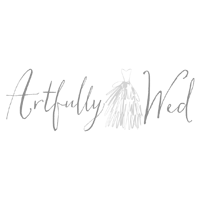 And no, we don’t mean the new signature you will sign with your forever last name – but instead the lasting impression you will leave on guests with the reception décor choices you make on your wedding day. What will stand out about your wedding as compared to the numerous others guests have and will attend? We say it over and over again, but it really is all in the details. 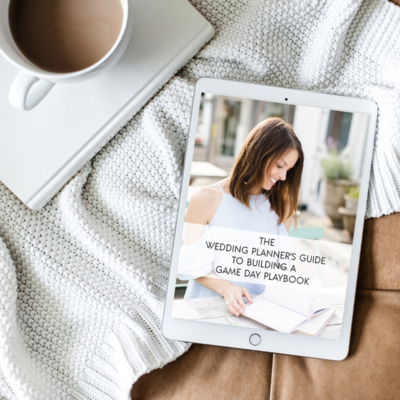 Plan your wedding in small segments: getting ready, cocktail hour, ceremony, reception dinner, reception dancing, etc. and think of something in each of those places where you can leave your mark. 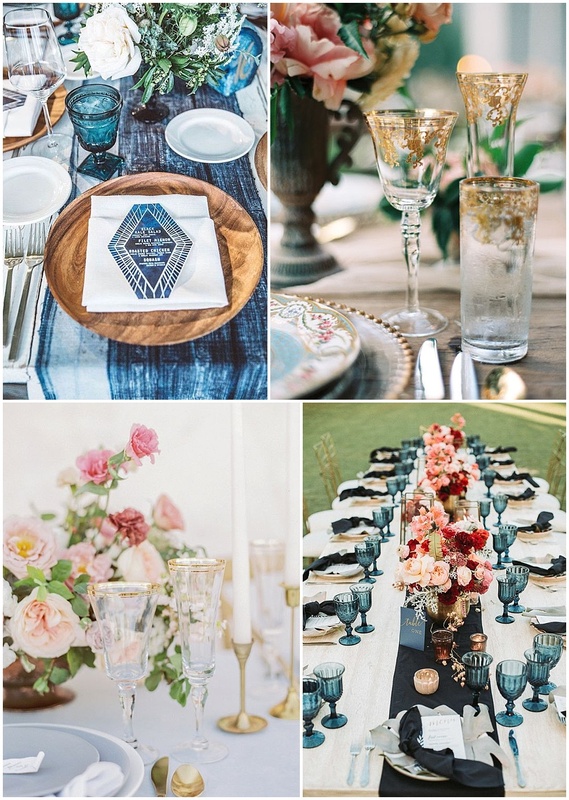 One place to start zooming in on is your reception tablescape. 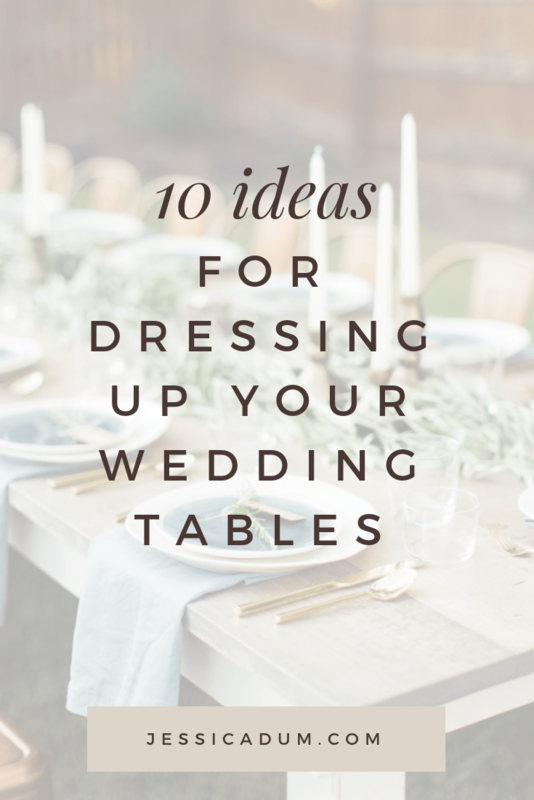 There are at least 10 pieces to each reception table. 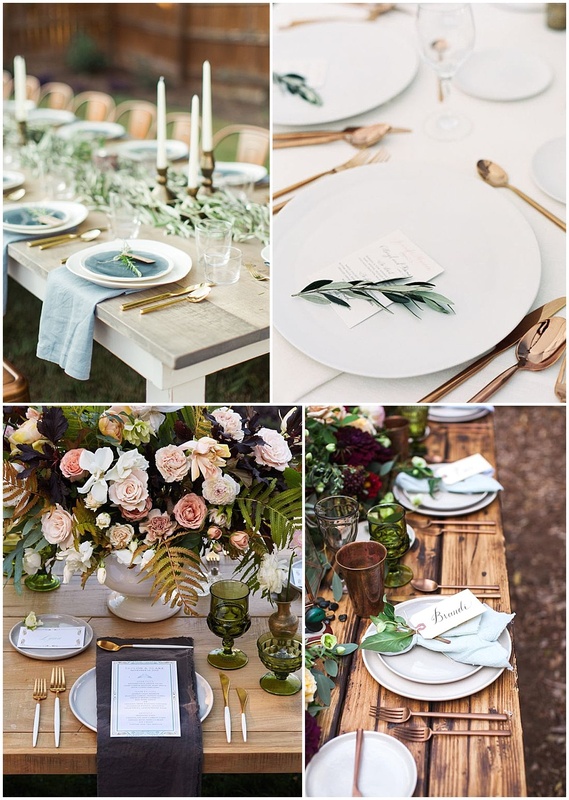 Table styling sets the tone for the entire reception space AND gives you the biggest visual impact. Napkin folds. A question we as Day of Wedding Coordinators always ask and one that tends to draw a puzzled look from our brides. Not because they don’t know what it is but because they haven’t really thought about it. However, this is a fun place to get creative for your wedding reception! 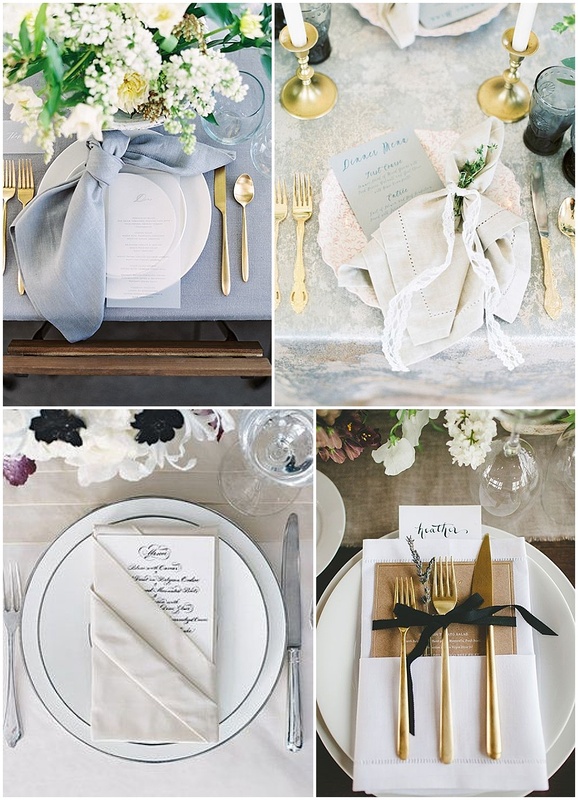 Some unexpected napkin folds we are loving: Knotted (possibly tied with a place card), angled pocket, rolled and tied, or paired with flatware. We aren’t saying to have swan napkin at each guest’s seat but we would encourage you to do something that adds dimension, texture and/or color to the setting. 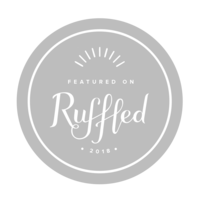 You have likely spent time picking out flatware for your bridal registry that you will use every day. Now you get to do the same for your reception tables. 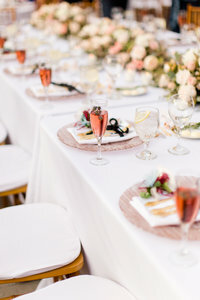 Flatware is a great way to bring subtle punches of color to your table as well as tie together your overall aesthetic. Think vintage gold to fit a more grandiose space. Sliver for a timeless feel. Two-toned with clean lines to fit a modern space. Or even an ornate rose gold or bronze as a fun surprise! 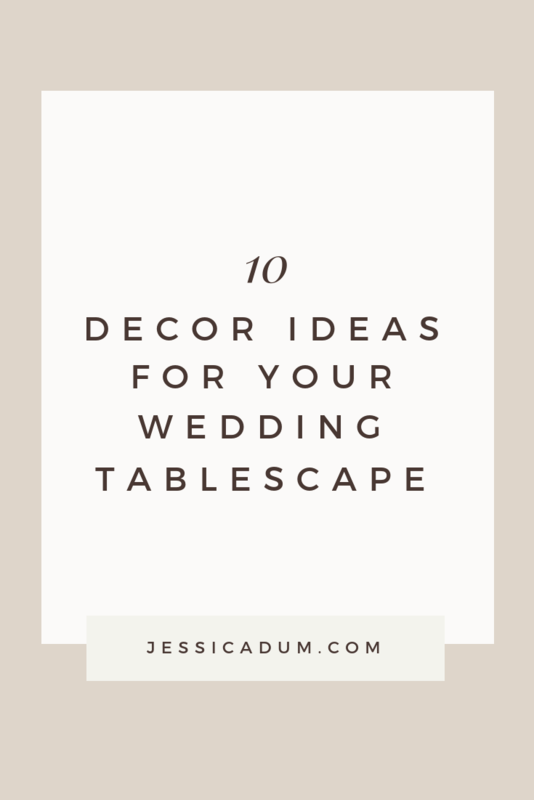 The drinks will likely be flowing throughout your entire reception and you can use this as a place to make a statement. Fun options for your tables: Irish coffee glasses, beer pints or growlers, or wine and water carafes. Goblets are also an extra element we can’t see enough of right now. 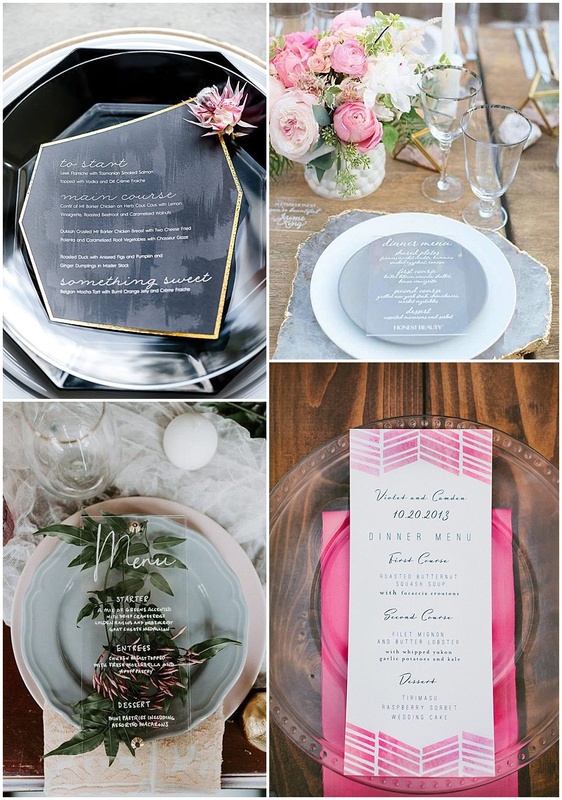 They can add a touch of design, dimension, and a gorgeous pop of color to any reception table. Suspend it, drape it, forgo it. Centerpieces for many are a huge design statement piece. 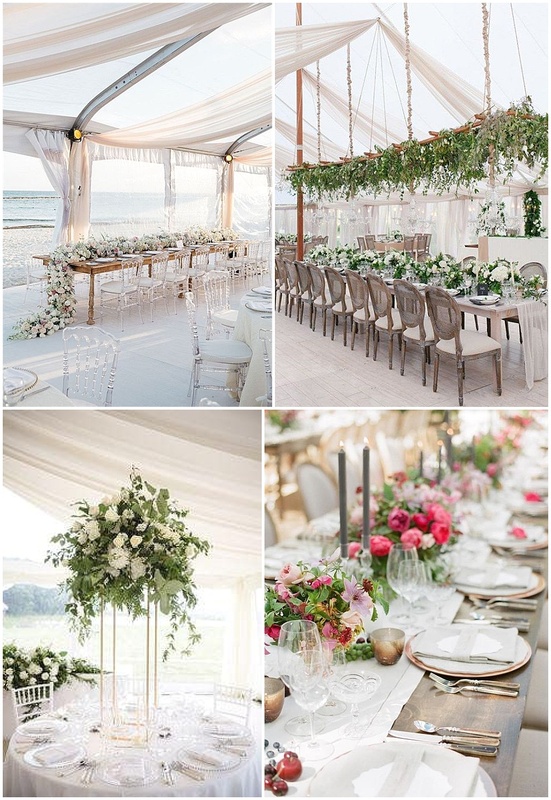 You want your guests to chat and feel comfortable during dinner, and you can give them the best chance for doing this by suspending your florals above the tables or draping them down the middle. 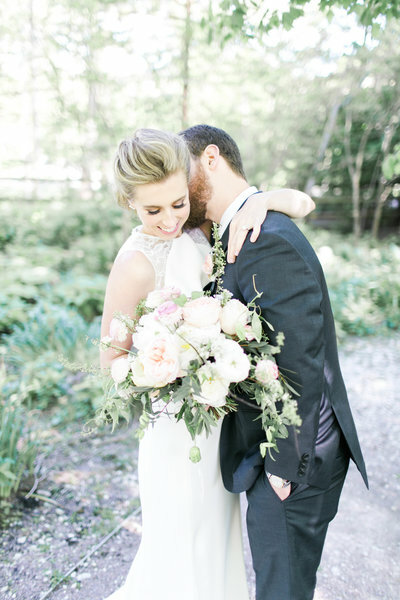 We also love a variety of floral and non-floral centerpieces. Adorning your tables with candles or hanging unique lights adds a romantic, timeless ambiance that can add warmth to any space. 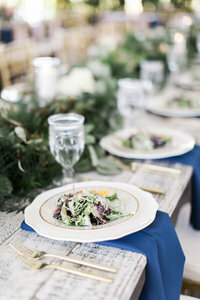 Many caterers require a place card at each setting to assist servers with knowing meal choices for each guest. 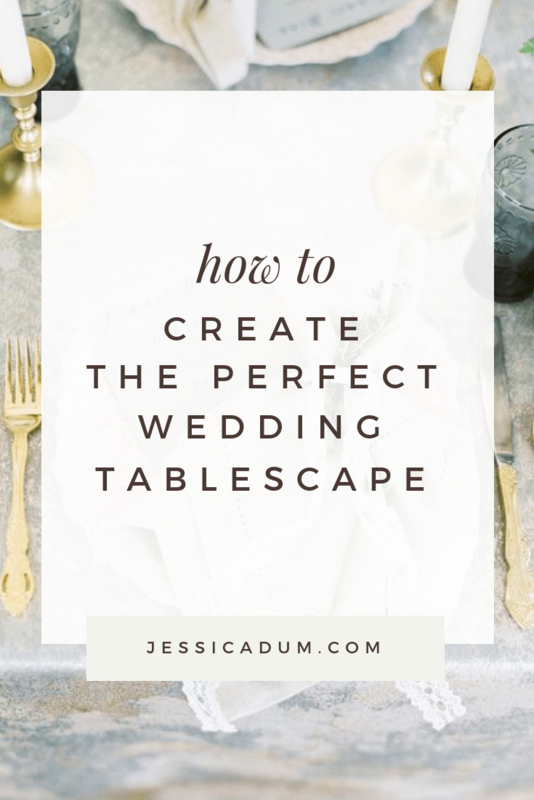 Take the opportunity to add this additional small design element to your tables. 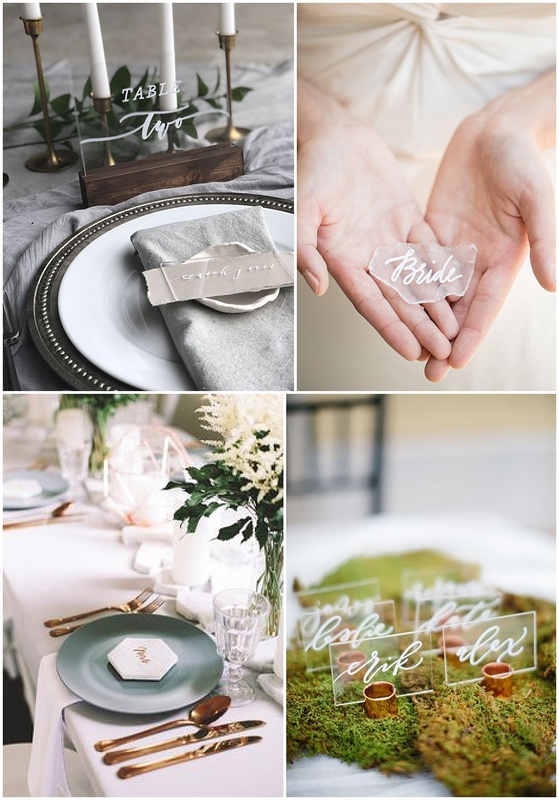 Acrylic, stone, or sea glass place cards are trends that are here to stay. Are guests choosing their meal option months in advance? Are you providing food that is out of the ordinary? Are you making a donation in guests’ names or have thank yous that you want to acknowledge? If so, menus are a perfect place to keep guests informed and add detail to your reception tables. Try a small twist on the classic menu tucked into the napkin by simply changing the shape of the menu. Geometric shapes add a contemporary element to any table. 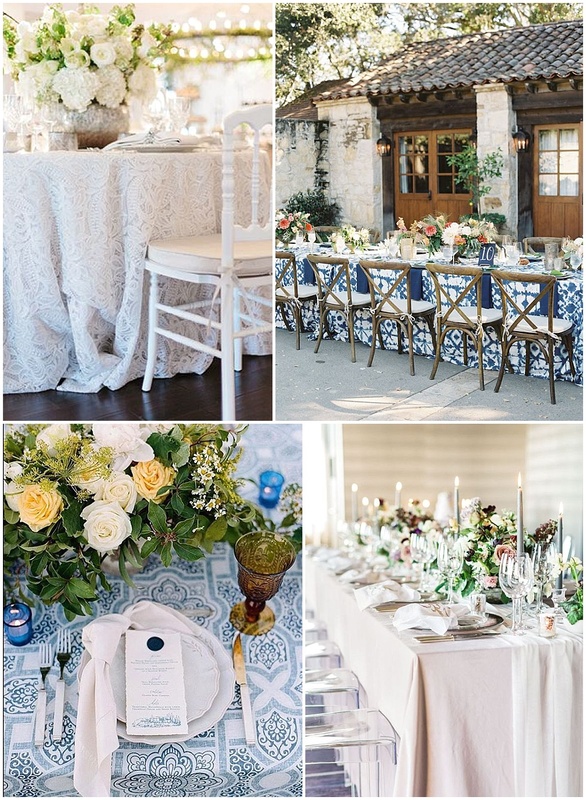 Table linens – typically, a quick decision for many brides. Plain, simple, maybe a subtle color and then move on. But we would encourage you to take pause and think through your linen choices. Don’t be afraid to make a color statement, even if it is just a few key tables such as your head table or cake table. Or add a mix of textures – think metallic, velvet, or [gasp] a bold print. 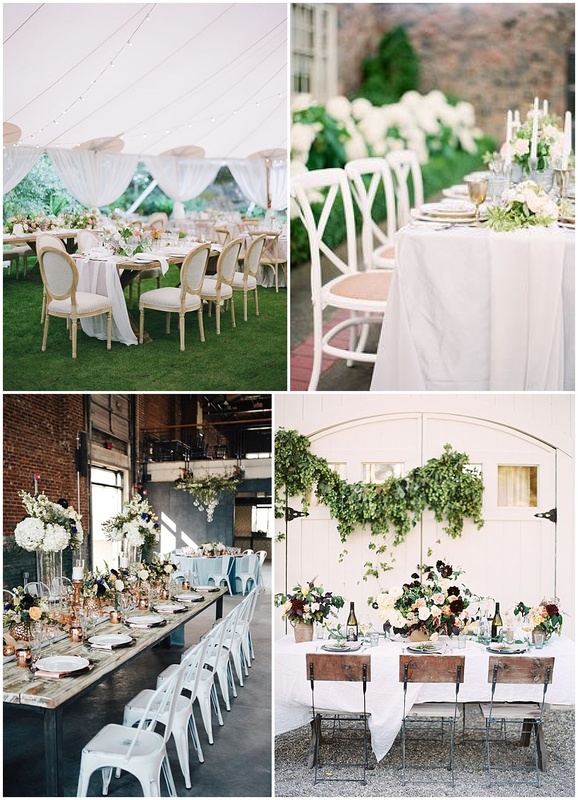 The ever popular chiavari and garden chairs will never go out of style. But what about a different option that caters more to your reception vibe. The cross-back chair is a great opportunity when pairing a laidback space but still want it to have a timeless feel. Another option are the ever-popular metal bistro chairs that add a whimsical, modern touch to any tablescape. Maybe you want to make a formal, indoor space more inviting or an outdoor space perfectly relaxed, try the French bistro chairs. Table numbers are another small detail that can have a strong visual impact. 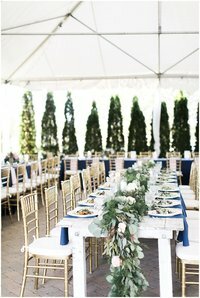 Help guests find their seats with something thematic and unique. Whether you’re going for an industrial, modern, minimalist, whimsical or rustic feel – think about the font, frame or holder style, and materials. Last but not least the actual table themselves. Table size and shape can quickly add dimension to a space. Think beyond your standard round tables and opt for mixing in family-style banquet tables, or even square tables for an unexpected touch. Don’t be afraid to mix materials either. 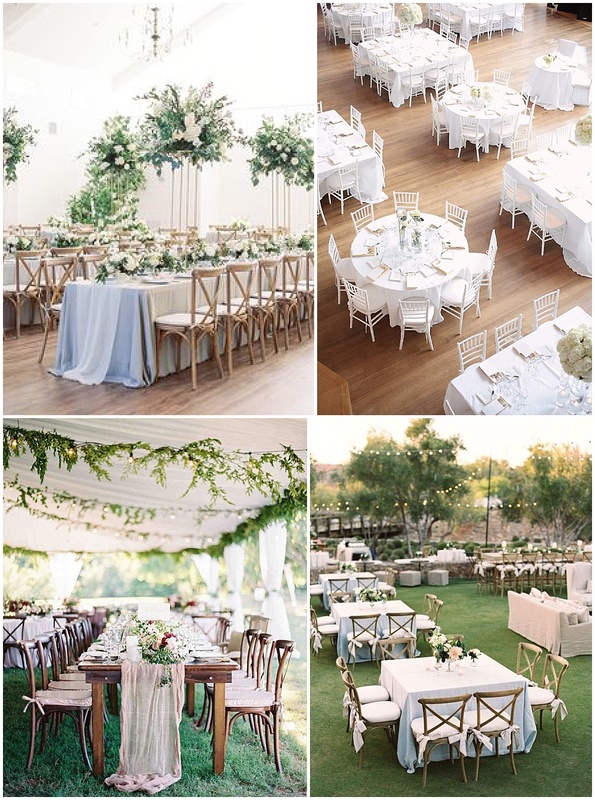 Choose to add elements of metal or wood next to tables covered with soft, flowing linens. The juxtaposition is always a winner!